The ADVANCE Series is the highest level of i-tec accessories bringing you the cutting edge technologies of products with a modern design and exclusive packaging. 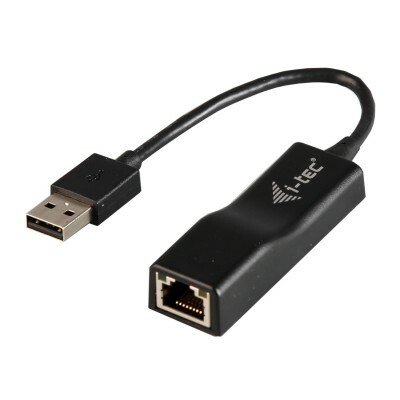 i-tec USB 2.0 Fast Ethernet Adapter is an external 100/10Mbps network card for connecting via USB interface. Thanks to this adapter you can simply and elegantly add another network card to your computer, notebook or tablet. No external power supply is needed. The adapter supports a wide range of operating systems from Windows and Mac OS to Linux. Ethernet network connection can also be used in the Android system. However, the support of this function must be included by the manufacturer directly in the particular Android device. You can easily check this support in Network Connection Settings â†’ Other Networks, which must include Ethernet. If you are using MacOS operating system (especially Sierra 10.12), please download the drivers for LAN port below, in the "Download" tab.